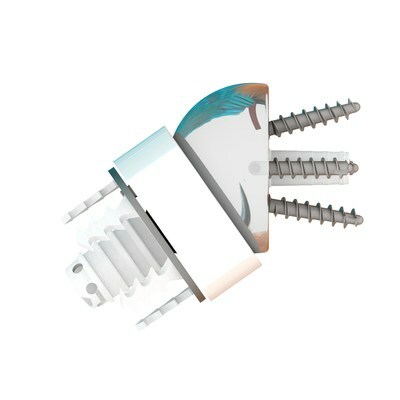 Easytech Reversed Stemless is an innovative shoulder arthroplasty implant that will be under clinical study with (9) sites and (12) surgeons across the U.S. participating. Building on the current success in France (home of FX Shoulder USA's parent company, FX Solutions), where over 800 Easytech Stemless Reversed prostheses have been successfully implanted, FX Shoulder USA is slated to enroll patients at two (2) investigational sites in December and continue enrollment with additional sites beginning in January 2019. "The Easytech Reversed may be exactly what the U.S. market is in need of, and a reversed stemless prosthesis could potentially be the future of shoulder arthroplasty," said Baptiste Martin, CEO of FX Shoulder USA. "We are excited to begin our clinical study and enthusiastic to see the results with each successive case throughout. There is a lot of excitement among the surgeon investigators for Easytech Reversed," he continued. In Europe, as per the article in Med Device Online dated April 11, 2018, stemless implants are projected to surpass stemmed implants by 2025.